Independent Candidate for Hume Huw Kingston has officially launched his election campaign, with around 150 people turning up to the Bundanoon Hall. Those in attendance came from all parts of the electorate including Camden, Goulburn and beyond. 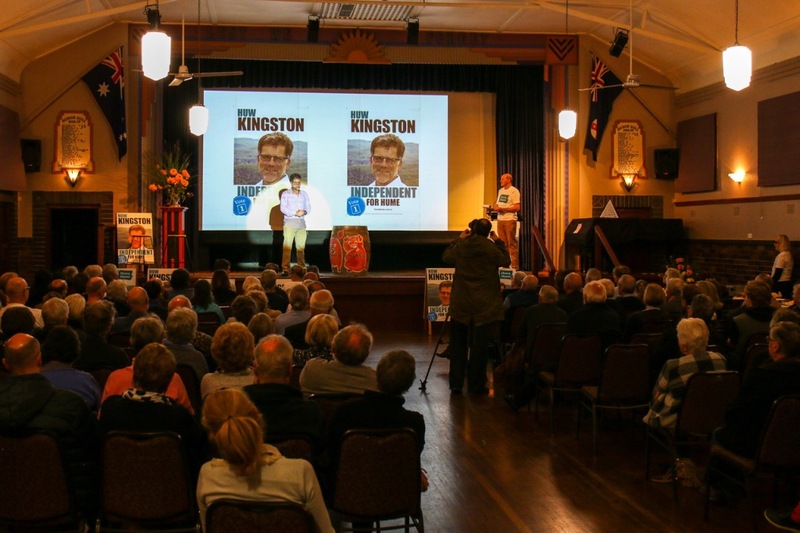 Much of Mr. Kingston's campaign will be centred around getting action on climate change, a very fast train link between Sydney and Canberra and improving human rights. Meantime he believes the negativity surrounding electric vehicles over the past week, has been an absolute farce. Mr. Kingston says whether we like it or not, that's the way the world's car manufacturers are heading.